Sakata prospered during the Edo period (1603-1867) as a transportation hub of the Mogami River and the kitamaebune, or “northern-bound ships,” which referred to a shipping route and ships sailing from here to Osaka via the Seto Inland Sea, and is still one of the major commercial cities along the Sea of Japan coast. Thanks to the commercial prowess and large profits derived from shipping, the leading culture of the times was introduced from Kyoto and Osaka and various types of culture flourished in Sakata. Speaking of Sakata, one can not but mention the Honma clan. The Honma clan that created vast riches in Sakata was once said to be the largest landowner in Japan and applied their talents and energy to public works and water projects as well as to business. The Old Honma Mansion was built for the lord Sakai, by Mitsuoka, the third lord of the Honma clan in 1768. It is a unique building encompassing two different styles: the front part is in a warrior-residence structure for high ranking retainers and the back part is constructed in a merchant-house style. The front part is a luxurious building made from Kiso hinoki cypress and using Hida-Takayama Shunkei lacquerware. The ceiling is high but the door headers are low ? to forestall the wielding of swords. Transoms above sliding doors were transparent so as to prevent secret meetings. As the class system was strict in the Edo period, the family lived in the back part as befit merchants. A kitchen was earthen floored in normal merchant houses in those days but the Honma family was allowed to have a wooden floor kitchen. Even though it was a merchant family, the Homma family were allowed some of the same privileges of the warrior class because of their various and impressive achievements. In Sakata, fires often occurred due to strong winds. As a fire prevention measure, two-story storehouses were built in the north and west of the precincts to protect the one-story main building from fire and many tabunoki trees, whose wood retains moisture, were planted. The Honma Museum of Art was converted from an old villa of the Honma clan. The villa was used by the lords of the Sakai family in the Edo period, and then after Edo as a guesthouse of Sakata City until recently. Some of the fine arts items in the museum’s collection were donated by other clans in Japan, and some are furniture and fixings prepared for guests by the Honma family. The museum has a garden from which Mount Chokai can be seen. In the garden, some fancy stones are placed here and there. Ships carried rice from Sakata outward, and brought back used clothing, drugs and ceramics, which were lighter than rice, when returning. To stabilize the ship and thus accelerate speed, stones were loaded on board and conveyed to Sakata. A modern building facing a calm pond in the foreground in spacious Iimoriyama Park is the Domon Ken Museum. In the background, Mount Chokai towers above vast paddy field areas. The museum is the world’s first private photo museum, built in 1983, and all of the 70,000 photos in display were donated by Domon Ken, a prominent photographer who hails from Sakata. Sankyo Soko, a cluster of 12 traditional storehouses for rice, is a location where scenes from the hugely popular drama “Oshin” was shot. Big zelkova trees line the street on which the storehouses stand and walking around this area is enjoyable. The location of the “NK Agent Office” in the film “Departures” is an old restaurant, Obata. Sanno Club, an old high-class Japanese-style restaurant, is built in an interesting “modern-style” of the Meiji period and “Kasafuku,” a colorful hanging ornament, decorates the premises. Two mummies are enshrined at Kaiko-ji Temple. Hiyoriyama Park offers a panoramic view of the port town. When touring in the town, using bicycle rental may be convenient. You can drop the bicycle off at several places along the route. Local ramen noodles with soup of seafood stock, such as flying fish, are delicious. 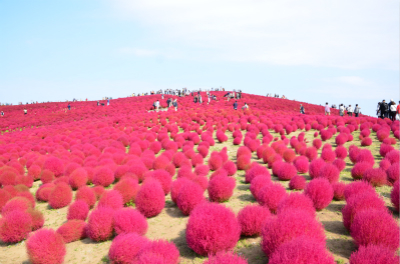 It takes 90 minutes from Sakata to Tobishima, the only isolated island of Yamagata Prefecture. It is 39 km off Sakata Port and still retains unsullied natural beauty. It takes about two hours to go around the island. There are no traffic lights. As a stopping point for migratory birds, it is often crowded with migratory birds that fly north from the continent in spring and others that fly south in winter. You can enjoy fishing and sea bathing. Because a warm current flows nearby, the island is relatively warm and covered by evergreen broad-leaved trees throughout the year. It is famous for a delicious soup stock made from flying fish. Tsuruoka was the castle town of the lords of Sakai of the Shonai domain. Fujisawa Shuhei, a notable novelist and native of Tsuruoka, wrote many historic novels using Tsuruoka as a setting. Many films based on his novels have been shot in Tsuroka. Recently, scenes from the much acclaimed “Departures” was also shot at “Tsuru no Yu,” which is actually a public bath, and other places in the city. Sets, props and materials of related movies are displayed at Shonai Eigamura (Movie Village) Museum. A huge open-air set of the movie village will open on September 12, 2009, and retro buses run from JR Tsuruoka Station. Shonai Plain has long been a breadbasket, or rather ricebasket, of Japan, producing abundant and delicious rice and vegetables. Speaking of delicious food, the Italian restaurant Al-che-cciano is famous and attracts people from all over the country. Yunohama Onsen is an old hot spring resort near the Sea of Japan. Kamo Aquarium in the town always displays 30-40 species of jellyfish, which is the largest number among the world’s aquariums. In this aquarium, owan-kurage, or aequorea victoria (crystal jelly) were successfully induced to emit light thanks to expert advice from Shimomura Osamu, Professor Emeritus at Boston University Medical School, who was awarded the 2008 Nobel Prize in Chemistry. Yudagawa Onsen is at the foot of Mount Kinpo. Atsumi Onsen sits beside the Atsumi River which flows into the Sea of Japan and has a 1,100 year history. These are the most famous hot springs in Shonai, along with venerable old Yura Onsen. Mount Haguro, Mount Gassan, and Mount Yudono are the most sacred places in northern Japan and are collectively known as Dewa Sanzan, meaning “Three Mountains of Dewa.” The first temples were established here 1,400 years ago and the mountains are still associated with Shugen-do, an ancient and very austere form of ascetic religion combining elements of both Shinto and Buddhism. When you walk through an approach lined with giant cedar trees, you will find a five-story pagoda, which is a national treasure. From here to the top of Mount Haguro, there are 2,446 stone steps flanked by 300-600 year old cedar trees. 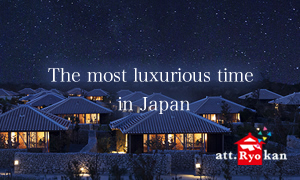 This cedar approach gained three stars in the Michelin Green Guide Japon 2009. There are still many temple lodgings in the temple town of Toge. Haiku poet Matsuo Basho stayed in this historical castle town, and inns where he stayed and temples he visited still remain. Murakami is also associated with Princess Masako; ancestors of her family, the Owada family, were warriors of the old Murakami clan. Traditional houses dotted here and there in winding alleys, the ruins of Murakami Castle, and warrior residences still convey the atmosphere of the Edo period. There are unique-style buildings called machiya-zukuri, whose characteristics are a room with irori fireplace, high ceilings, and black and thick beams and posts. Every March, some traditional houses are decorated with hina doll displays and visitors can go inside to view the dolls and other traditional heirlooms. Schools of salmon swim up the Miomote River in autumn. Marakami has long been famous for salmon and has established a salmon culture of its own. Local people catch salmon with a traditional fishing method that remains in use only on the Miomote River. History and lore of the area’s salmon culture can be learned at Iyoboya Kaikan Museum. Salmon hung under eaves are one of the typical sights of Murakami. There are more than 100 kinds of salmon dishes in Murakami, and local people discard no part of the fish, from head to tail fluke. Salmon is at its most delicious from October to early December. The old Murakami clan encouraged various industries. Murakami tsuishu lacquer ware, in which lacquer is coated in several layers on carved wooden materials, is one of the traditional craft works of Murakami. Cultivation of green tea was encouraged and Murakami green tea is known as the tea cultivated at the northernmost limit. You should not miss delicious local sake; Taiyozakari and Shimeharitsuru are famous. Taiyo Shuzo, the brewer of Taiyozakari, has a 350-year history and a tour of the brewery is available if reservations are made beforehand. In Murakami, markets where fresh vegetables, seafood and wild plants are sold take place on six days of every month. In 1904, hot spring water gushed forth at a drilling spot for oil. This was the origin of Senami Onsen, which is located along the coast of the Sea of Japan. Sunsets on the horizon can be seen from guest rooms or bathrooms of hotels. Checking in before dusk and soaking in a bath to enjoy the sunset is recommended. Winter scenery of the sea is also fascinating. Good dining featuring tasty seafood from the Sea of Japan, local sake, and famous Koshihikari rice will also make your stay here very enjoyable. Murakami Taisai, a dynamic festival held every July, is one of the three major festivals in Niigata Prefecture. Nineteen gorgeous floats that parade about are a sight to see. Iwafune Taisai is held on October 18 and 19. It is a festival to wish for safe transportation on the sea, business success, and a good catch of fish. Floats parade in the town. In Sado Island, there are two mountain ranges: O-Sado mountain range has about 1,000-meter mountains and covers the northern part of the island. Ko-Sado mountain range in the southern part has warm, low hills, and palm trees and other flora associated with a southern climate can be seen there. A large plain, which is known for producing delicious rice, and a lake are between the two mountain ranges. The sea around the island boasts of some of the clearest water in all Japan and is known as an excellent diving spot. Once Sado was a place of exile and many cultural figures, intellectuals and aristocrats who lost out in political battles were sent there. Because of that, various aspects of the life style and culture of the capital, Kyoto, was introduced to Sado. Zeami, who brought the Noh drama to perfection, was exiled to Sado Island in 1434, when he was 72 years old. Okubo Nagayasu, a magistrate of Sado, had been a Noh actor and encouraged Noh. For these reasons, Noh became popular in Sado. At first, Noh was studied by public officials to broaden their education, but later developed as shrine rituals. Honma Hidenobu founded the Sado Hosho school of Noh and Noh gradually spread among commoners. The 18th head of the Honma family maintains the tradition of the Hosho school today. There are more than 30 Noh stages in Sado ? once there were more than 200 ? and performances can be enjoyed from April to October every year. “Ondeko” is a unique classic performing art that cannot be found in other place but Sado. Demons crazily dance accompanied by soul-stirring drum sounds. It is in origin a religious ritual to ward off devils and to ensure a good harvest. “Kodo,” a drum performance group that is based in Sado and performs all over the world, has held “Earth Celebration” since 1988, in which musicians and artists of folk music and performing art are invited and play open-air concerts. In 2009, it was held from August 16 through 18. Sado was long known for gold and silver deposits and the Tokugawa government developed gold mining here in the Edo period. The output of Sado Kinzan (Sado Gold Mine) was the largest in the world during its heyday in the 17th century. The mining operations finally ended for good in 1989. A section of the mine is now an unusual museum using animatronic wax figures to reproduce scenes of the mining in the old Edo days. Sado is blessed with delicious agricultural produce, such as Koshihikari rice, and sweet and juicy persimmons. Oysters, yellowtails, shrimps, and crabs are delicious, especially from autumn to winter. Thanks to good-tasting rice and water, the island’s sake is also much appreciated. For those in good physical condition, why not enjoy a bike tour? Oka Tours, tel: 0422-26-6644, conducts a six-day seven-night bicycle tour around the island, originating from Tokyo. When you walk from Niigata Station and pass Bandai Bridge, a beautiful bridge with six arches, you reach Furumachi town. Furumachi has been an entertainment district home to many high-class Japanese-style restaurants since the Edo period. It is well known for geiko (geisha), along with Gion in Kyoto and Akasaka and Shimbashi in Tokyo. 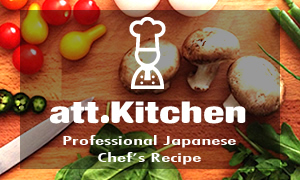 Niigata is proud of its delicious food: Koshihikari rice, local sake, and sea food such as salmon and yellowtails. If you want to enjoy sushi in Niigata, the special set “Kiwami” is recommended; ten select items including sea urchin, toro (fatty tuna), salmon roe, and local fish, plus miso soup can be eaten for around 3,000 yen at restaurants or sushi shops in the city. You can see geiko dancing in a casual manner at “Niigata Hanamachi Chaya.” More details: Niigata Visitors & Convention Bureau, 025-265-8000. There is a 15-km cycling road around Niigata-jima Island in the city and if you want to splurge a bit you can rent one of the fancier world brand name bikes available for renting. Sakata City prepares a map of shooting locations of “Departures,” a film which received the Academy Award in the category of best foreign language film of the year of the 81st Academy Awards in 2008. The set of the film’s “NK Agent Office” is reproduced in the old restaurant Obata. In front of the building, footprints are marked and you can have your photo taken at the same angle of as that of Daigo, the lead character, in a famous scene of the film. The scene in which Daigo plays the cello against the backdrop of Mount Chokai was shot on the bank of the Gakko River in Yuza town at the foot of Mount Chokai. A chair is placed there and you can sit down for a photo. 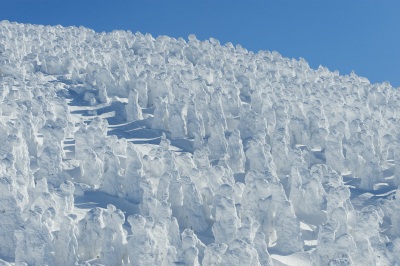 Enjoy a winter trip, various snow activities, gorgeous views, onsen, and more! Welcome to Japan’s autumn season of color! Enjoy early summer in Japan!